Choose from one of Colorado’s Largest Selection of New Hyundai cars, SUVs and Crossovers. Not just at low, no-hassle prices, but delivered with exceptional service and excellent up-to-date facilities. Enjoy Huge Savings on All New Hyundai’s. All discounts from MSRP, any dealer installed accessories at retail. Must finance thru McDonald/Hyundai Motor Finance to receive total savings. Please contact the store by email or phone for details and availability of additional manufacturer incentives. Slide into the driver’s seat of a new Hyundai vehicle and you’ll command the road ahead like never before. Buy or lease a new Hyundai car or SUV at our Hyundai dealership in Littleton, CO, and you’ll be able to enjoy the best of both worlds — a quality vehicle at an affordable price. Cruise for miles and miles behind the wheel of the fuel-efficient Hyundai Elantra, or finance a family-friendly SUV with the Hyundai Tucson. Check out our selection of Hyundai Sonata sedans for head-turning appeal, or ask one of our sales specialists about the new Hyundai Santa Fe Sport SUV. 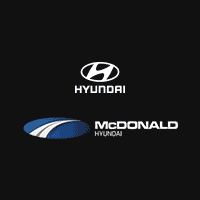 There is no selection quite like the one at McDonald Hyundai, so stop by today!